Following a shake up of Apple's executive team last fall, Tim Cook made a particular effort to highlight the skills and experience represented in the company's top leadership at this morning's Goldman Sachs Conference. Jony Ive "best designer in the world"
"When I look around the executive team table," Cook said, "I see superstars. I see people who are at the very top of their game. I see people like Jony Ive, who's the best designer in the world. He's now bringing his talents to our software as well," Cook said. Last fall, Ive was put in charge of coordinating Apple's iconic hardware designs with its software user interfaces, a task formerly managed independently by the heads of the OS X and iOS teams and by each individual app team, including iWork, iLife and the company's Pro App groups. Apple's future designs in the hands of Ive will need to balance the extremes of sophisticated, minimalist, utilitarian design with the whimsical, rich and customizable options many users appreciate. In that regard, Ive is more likely to favor Apple's traditional route of leaning toward clean, expertly designed layouts, scaling back some of the flourish of Calendar and the oddball OS X Contacts app. 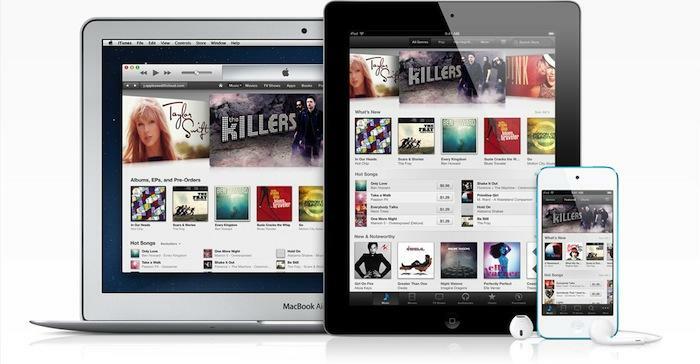 Underscoring its future plans to keep its software updated and modern, Apple recently overhauled all of its iTunes clients for both iOS and the Mac and PC desktop. 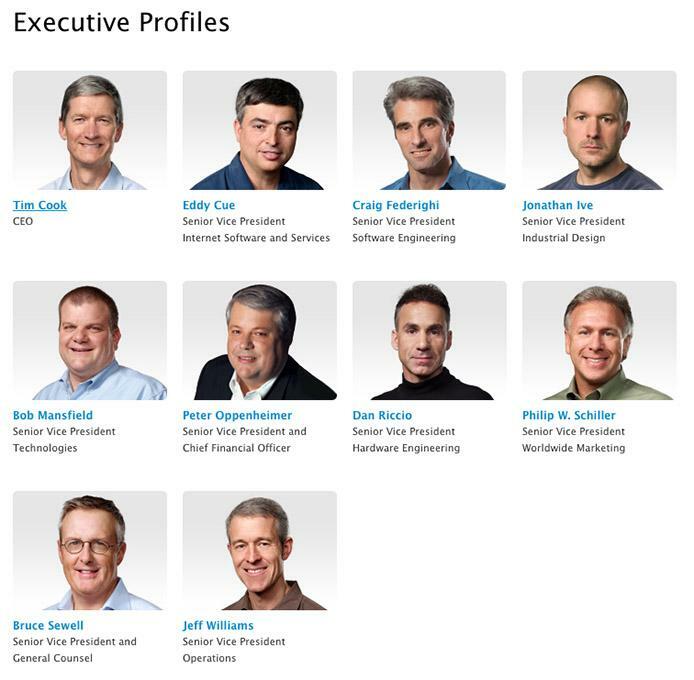 Bob Mansfield "the top silicon expert in the world"
Cook next turned attention to Apple's hardware, noting that, at Apple's executive team table, "I see people like Bob Mansfield, who I think is the top silicon expert in the world." Mansfield had initially announced plans to retire last year, but agreed to stay at Apple for another two years after Cook decided to sideline Scott Forstall in order to streamline operations and reduce contention within the executive team. Mansfield has transitioned from his role in managing hardware engineering to a broader job description that puts him in charge of Apple's new Technologies division. The newly formed group combines all of Apples wireless teams across the company in one organization. The group will also include Apple's semiconductor teams, which the company says has "ambitious plans for the future." "Jeff Williams," Cook added, "there's nobody better in operations anywhere!" That's a humble comment coming from the man who acts as Williams' boss in Apple's operations, and is widely credited with the company's operational rescue from its darkest days in the mid 1990s, when the company was facing operational nightmares. "I see Phil [Schiller, head of worldwide marketing] and Dan [Riccio, the head of hardware engineering who answers to Mansfield] and Craig [Federighi, head of software engineering, now managing both OS X and iOS] and I see all of these guys who are so focused on product and at the very top of their game, and it's a privilege to be a part of that," Cook stated. Cook didn't make specific mention of Eddy Cue, the only other member of Apple's executive team to handles customer facing products rather than legal or financial issues. Cue's responsibilities were expanded last fall to include not just iTunes, iBooks and the App Store but also Apple's expanding set of related online services, including iCloud, Siri, iAd and Maps. Apple CEO says company "making moves to make things more affordable"